Over the past few months I have been doing quite a lot of work with HDR as I finalise my latest book. Whist there are still plenty of examples on the internet of extreme HDR, I think it’s time to revisit the subject to see what it can offer the Landscape and Nature Photographer. The reason I say this is that I have also seen plenty of work that has to be HDR yet exhibits none of the traits so many people dislike. So let’s kick off this newsletter by looking at HDR in Lightroom. In case you’re not familiar, version 6 of Lightroom introduced a new Merge to HDR function which can produce very natural looking results. Many people seem to dislike HDR not because it helps to open shadows and tame highlights, but because it creates images with an unnatural appearance. My own view is that the typical “HDR look” suits some images and subjects but not others. It can look great for urban scenes but in a natural setting such as a landscape we need to preserve the photographic look. Fortunately, the tools on the market today allow us to control the process and appearance of our work which makes HDR techniques far more useful. The rule of thumb that I follow is that a photograph featuring nature needs a natural/realistic treatment. Here is an example of a natural scene where HDR techniques can help us. Here you can see a very challenging but typical landscape scene where the difference in exposure between the sky and shadows exceeds what the camera can capture. The usual solution in Landscape Photography is to use a Neutral Density graduate filter to darken the sky and reduce the contrast range. In this example, despite shooting with the camera in RAW format and using a 3 stop ND grad filter, I couldn’t balance the sky with the rocks. 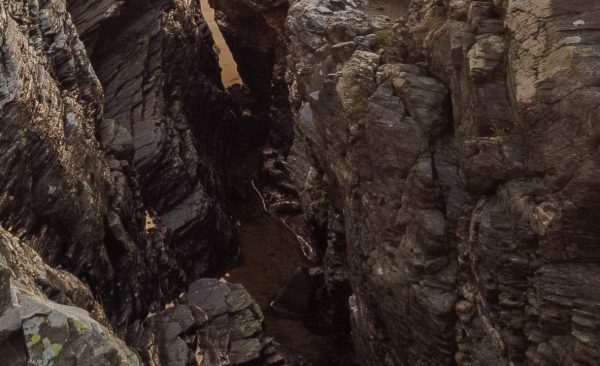 The light was coming almost directly towards me at a low angle, which was casting deep shadows onto the rocks and creating a huge dynamic range. To address the problem, I shot the following sequence of images with the intention of merging these with HDR techniques. The images were captured with the camera in manual mode so that I could set both the aperture and shutter speed, although the aperture remained constant throughout. The reason I chose manual rather than aperture priority is that in aperture priority, the exposure compensation dial failed to give sufficient exposure, even when set to +3. The camera was being tricked by the scene. When shooting HDR sequences, I tend to shoot either 3 or 5 frames, with a 1 or 2 stop change between each frame. With a 3 frame sequence I will shoot a correctly exposed frame and then a further two frames, one underexposed by 2 stops and the other overexposed by 2 stops. With a 5 frame sequence there would be 1 stop difference between each frame with 2 frames being underexposed and two frames being overexposed. I can’t recall why I ended up with only 4 frames here but the results are still good. We will use Lightroom to merge the above image sequence into a single HDR image which is then saved as a DNG file. The ability to save the image in DNG format gives great flexibility in applying post processing to the HDR image using Lightroom. By applying the tools in Lightroom carefully we can produce a very realistic HDR image. If you haven’t already done so, import your images to Lightroom and select them in the catalogue. With all the images selected, right click on one of the images to display the popup menu. In the menu select the option to Merge to HDR. This will display the HDR Merge Preview dialog as shown below. The HDR Merge Preview dialog provides useful options with which to process your files and create the HDR image. These include Auto Align, Auto Tone and Deghost. 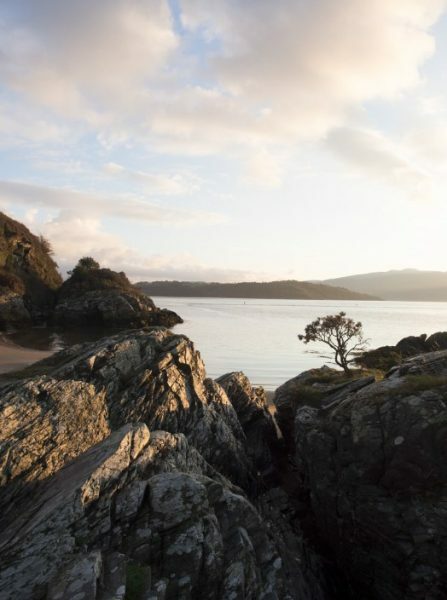 Auto Align will align your images based on their content. If you shot the images on a tripod so that each are identically frames, you won’t need to use this. 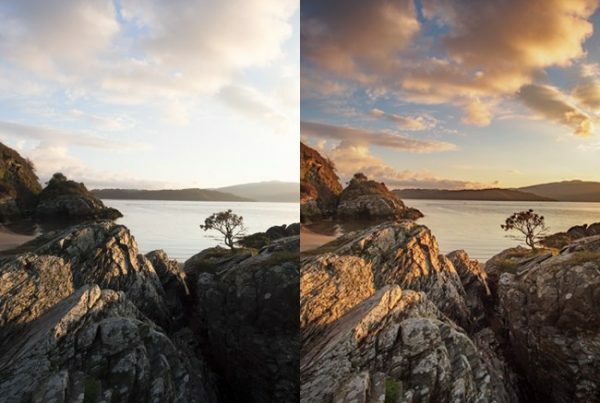 Auto Tone will automatically apply adjustments to the HDR image in order to produce a good exposure. This option isn’t very useful as you can usually produce a better image by applying your own adjustments. Deghost is the process of removing moving objects from the scene. I tend to leave this set at high for images featuring any movement at all for example the water in this scene. 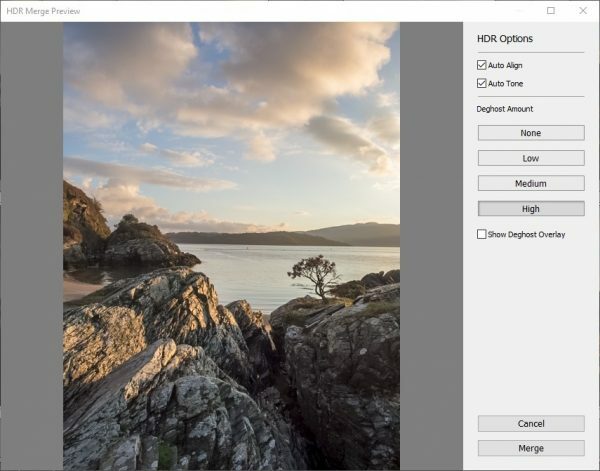 Once you have made your adjustments, click the Merge button to create the HDR image. This will be produced and saved as a DNG file and will be stored in the same location as the source files. 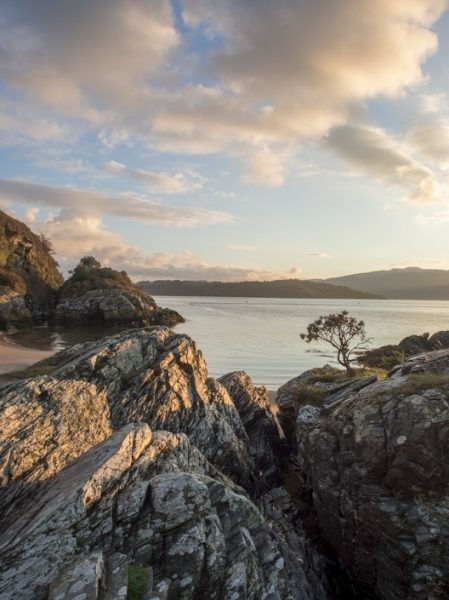 The resulting image is also added to your Lightroom Catalogue. Tip: It can be a good idea to group together image sequences and the HDR DNG file. Lightroom provides a technique known as stacking which can be used to group together related image files and is perfect for this. Stacking related images helps organise your Lightroom catalogue. To create the stack, select all the images in the sequence together with the new HDR image then right click and select group to stack. The result is a very natural looking HDR image with large amounts of detail even in the darkest shadows. You can see an example below. 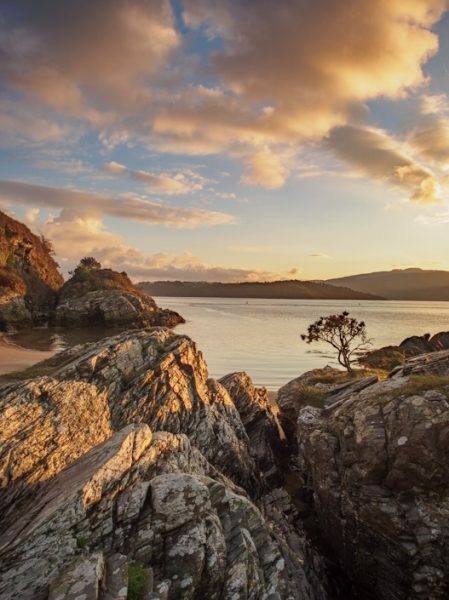 Post processing of the HDR image is an essential step in achieving good results with HDR. The HDR merging process can sometimes leave images appearing flat and unrealistic. The traditional approach to adjusting the HDR image is tone mapping and this is where the “typical HDR” appearance is often introduced. For this example, the merged HDR image is very natural but it has lost some of the atmosphere and feel of the scene. This image was captured shortly after dawn yet now appears almost as if it were a daytime scene. With careful adjustment in Lightroom we can edit the image to reintroduce some of the lost atmosphere. Below you can see the adjusted final image where the Camera Calibration has been changed, the colour temperature increased and a tone curve applied to darken the image. All these changes were applied in Lightroom. If we take a closer look around the scene we can see the high quality result that’s been produced. 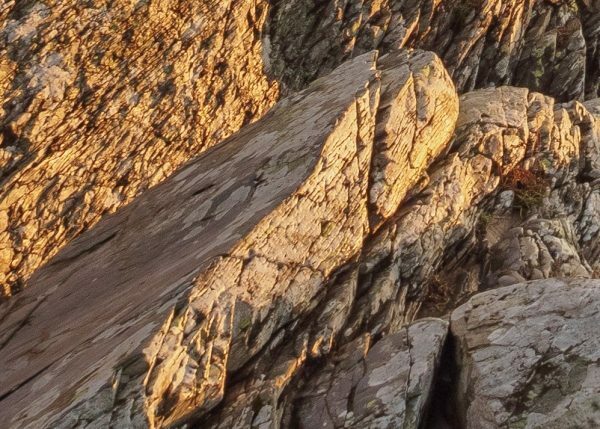 Below is the rock on the left of the frame. Next is the heavy area of deep shadow on the lower right of the frame. As you can see, there is detail even into the dark shadow areas. Finally, here are the images side by side. The original on the left at the cameras “correct exposure” and the adjusted HDR image on the right. 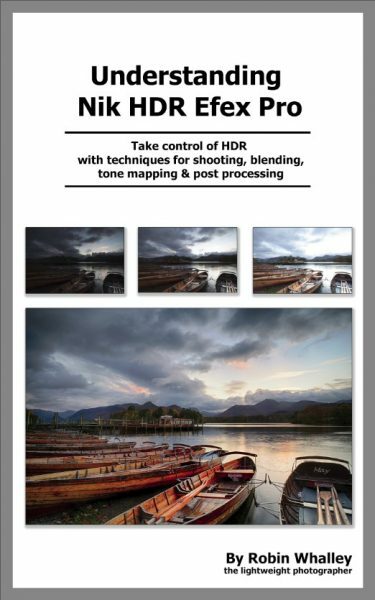 If you don’t have Lightroom or would like a much greater degree of control, consider Nik HDR Efex. This can now be downloaded for free from the Google website. My latest book “Understanding Nik HDR Efex Pro 2” is a matter of days from being published. The book explains how Photographers ca take control of the HDR process in order to produce “the look” or effect that they want. Using the Nik software images can be processed to give the typical grunge look, have exaggerated detail or appear as a realistic photograph. The book explains how you can achieve a high degree of control over the entire process. Merging the image sequences to HDR. There are three full length worked examples which also include post tone mapping adjustment with other Nik filters. The worked examples are supported by source image files which can be downloaded from Lenscraft, allowing you to follow the examples on your own computer. The 30-day challenge has been running for around 9 months now with well over 1,000 subscribers. I have received a lot of good feedback about the simple nature of the challenge but at the same time, few people have signed up to the Flickr group to exchange feedback. I also have to admit that I too have struggled enormously to find the time to use and participate in the group. I have therefore decided to close down the challenge. I will be removing the challenge sign up option at the end of September. If you are currently sign-up to receive the emails, you should still receive these and the Flickr Group will remain open. As the challenge has received favourable feedback I will look into consolidating the emails into a PDF book for members as well as expanding the material. I hope those of you who signed up for the emails have enjoyed and benefited from these. I have published a few tutorials since the last newsletter, which can be found on my You Tube channel. These video tutorials are short, typically around 10 minutes in length. You can visit my You Tube channel with the following link. All suggestions for future tutorials are most welcome.